Hi! 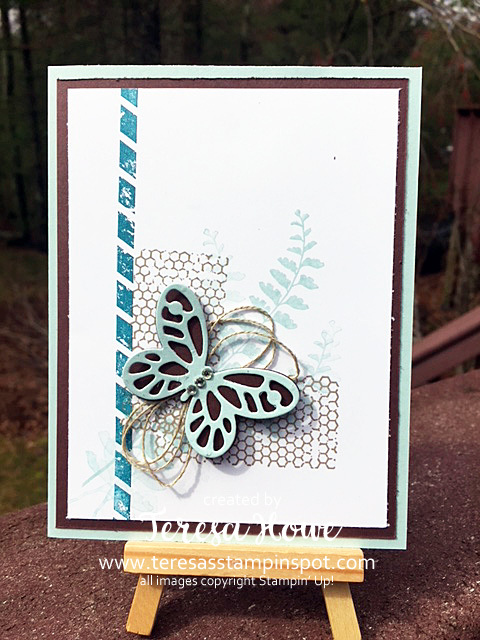 Today I am showcasing the Butterfly Basics stamp set that is retiring at the end of May. This is such a pretty set! 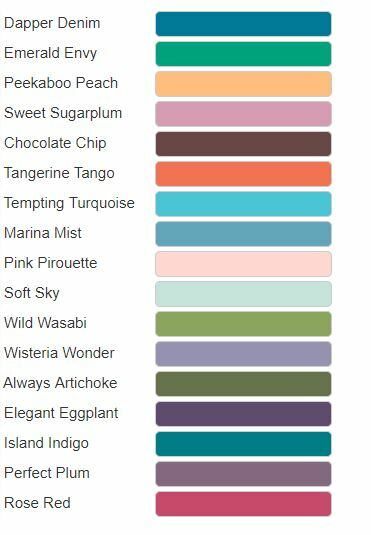 For both cards, I stuck with Island Indigo, Soft Sky and Chocolate Chip for my color palette. 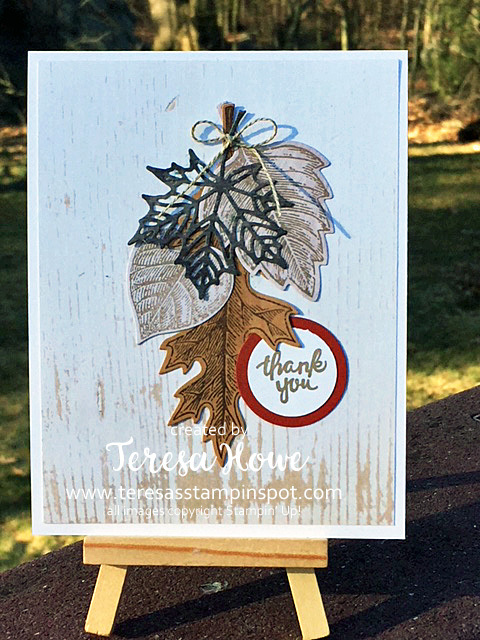 For this card, I did stamp off for the Island Indigo stripe on the left as well as the leaves stamped in Soft Sky. 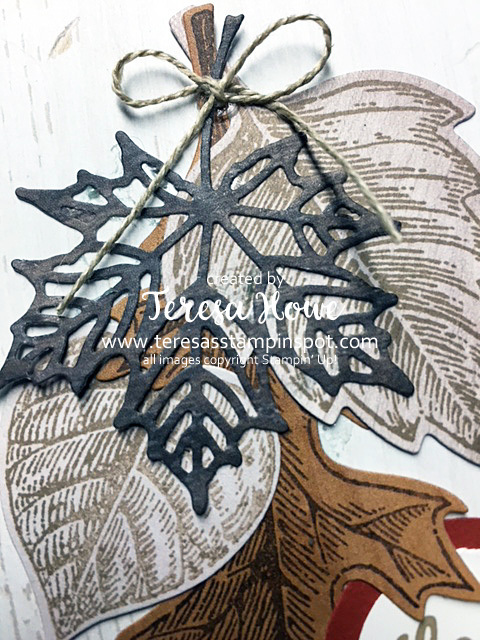 I also did generational stamping for the leaves – ie, I stamped the leaves twice before reinking the stamp. Linen thread was wrapped around the hand 3 times, then twisted into a figure 8 before being adhered to the back of the butterfly. I love the layered look of the butterfly. A few rhinestones down the center finishes it off. 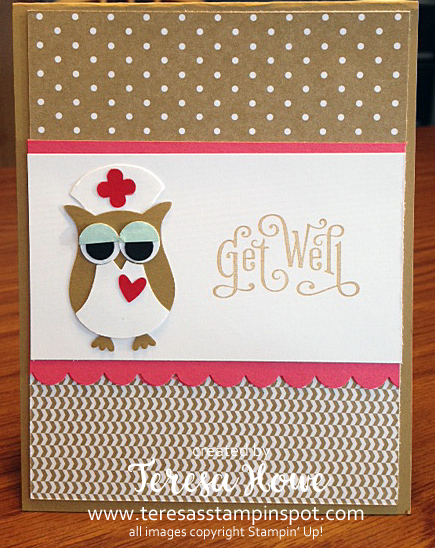 The dimensions for the card stock are: Soft Sky base – 5 1/2 x 8 1/2″ scored at 4 1/4″. Chocolate Chip mat – 4″ x 5 1/4″. Whisper White layer – 3 3/4″ x 5″. 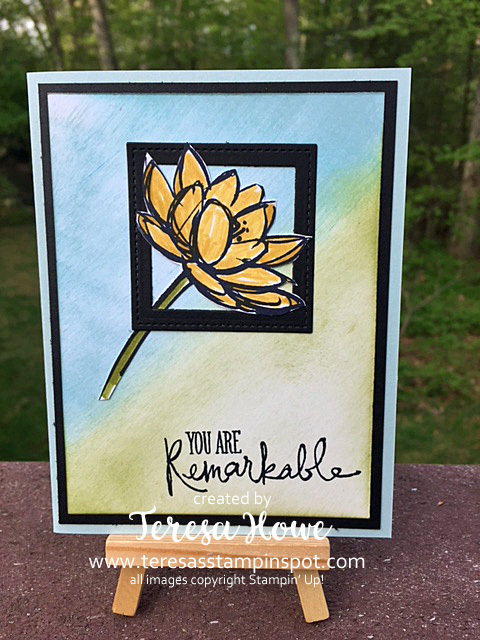 For this card, I used a large post-it note to create a mask for the stamped panel. 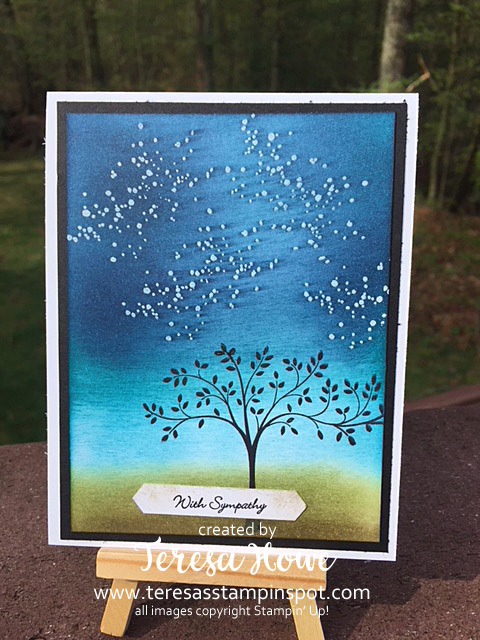 I sponged Soft Sky along the left hand edge and then inked the leaves in Soft Sky, stamping off once, before stamping over the sponged area. 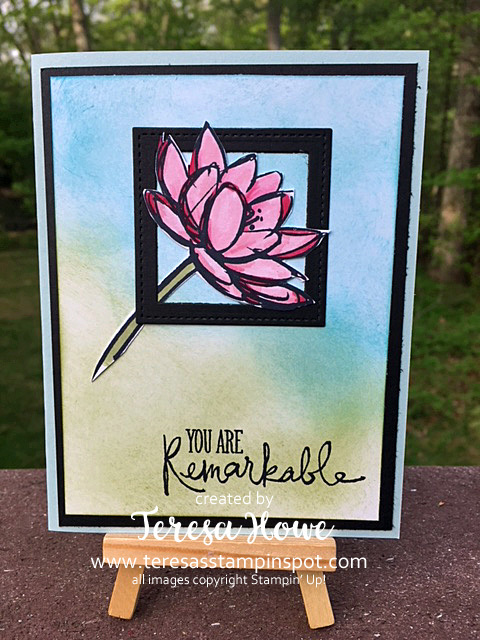 After stamping was complete, I removed the post-it note pad. 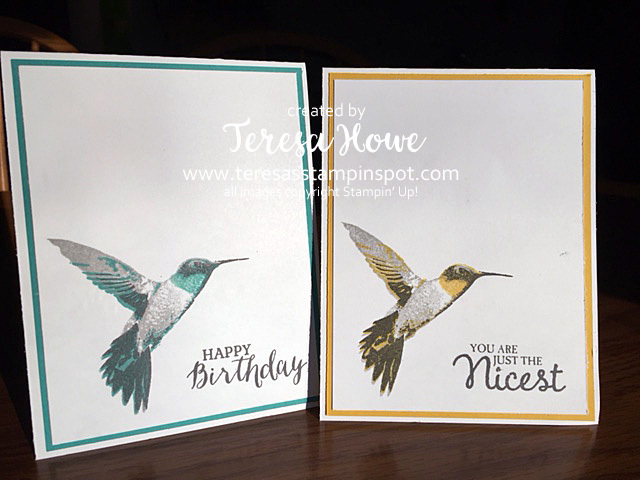 The butterflies were created in the same manner as in the first card. 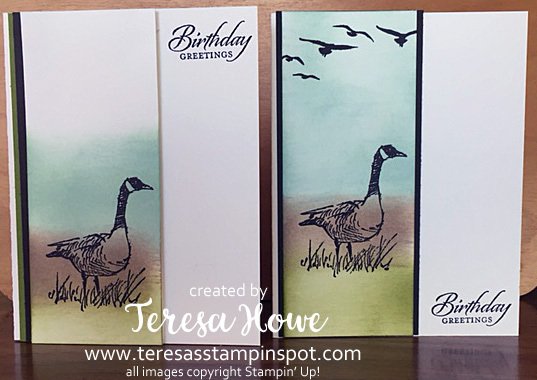 To add interest to this card, I added two thin strips of Chocolate Chip cardstock behind the main panel in a diagonal fashion. 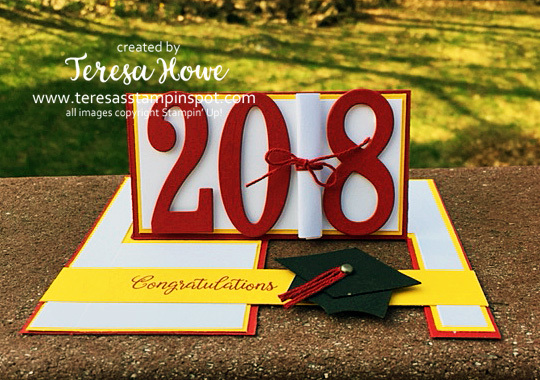 The dimensions for this card are: Base – Thick Whisper White – 4 1/4″ x 11″ scored at 5 1/2″. Chocolate Chip mat – 4″ x 5 1/4″. Whisper White mat – 3 13/16″ x 5 1/16. Chocolate Chip strips – 3/16″ x 4 1/4″ (trim off the ends that overhang the panel). Chocolate Chip mat – 3 7/16″ x 4 11/16. Whisper White panel – 3 1/4″ x 4 1/2″. Don’t forget, time is winding down on the 2017-2018 Annual Catalog as well as the Occasions Catalog. Some items from the retiring lists are already sold out. Don’t miss out on grabbing your favorites! 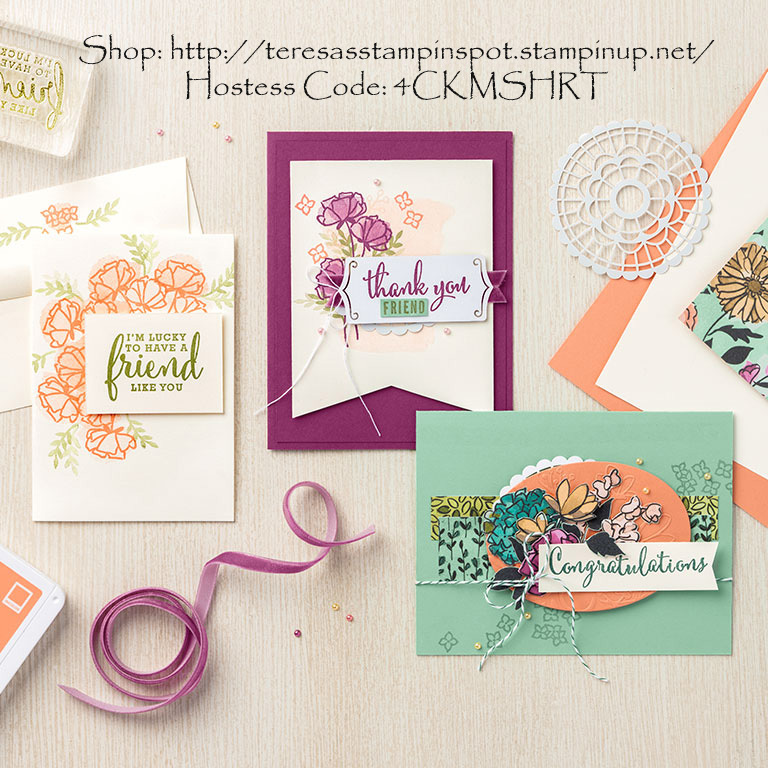 Shop my on-line store with Hostess Code: 4CKMSHRT today! 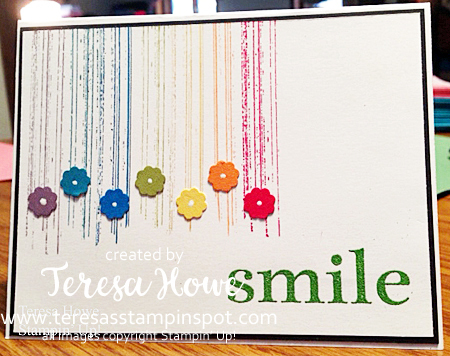 FREE gift with $50 purchase placed by April 30th using the Hostess Code! 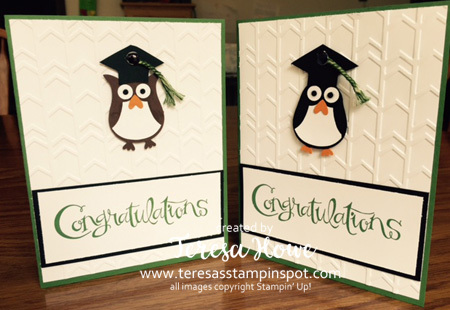 So don’t forget to order those reinkers and cardstock before it’s too late! !